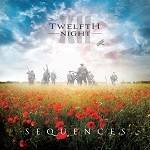 Twelfth Night mark 100 years since WW1 with first ever studio recording of classic track Sequences! More information: Twelfth Night complete epic vocal re-make of Sequences to mark WW1 centenary. This is the first ever full studio version and is released on 11th November, 40 years after it was written. Twelfth Night have completed the recording and mixing of a new studio version of their epic, Sequences. The 23-minute piece, a favourite with fans and the climax of the band’s live shows, tells the story of a young man going off to fight in the First World War and coming back a changed man. This is a limited edition, album-length CD, which will be available from Remembrance Sunday, 11th November 2018. The album consists of three versions of the band’s best loved track: an updated, expanded and orchestrated vocal version, a complete instrumental mix (in a nod to its original form) and a brand new piano interpretation of three key sections of the track. The musicians involved are founding members Brian Devoil (drums) and Andy Revell (guitar), with Mark Spencer (vocals, keyboards, orchestration). They are joined by Galahad’s Dean Baker (piano, keyboards) and Andy Faulkner (bass), both of whom have played live with Twelfth Night since the band’s reunion in 2007. There is also a special appearance by the song’s original lyricist and vocalist, the late Geoff Mann and, for one brief moment, a 200-strong choir comprised of various vocalist friends. The CD comes with a 16-page booklet, which has a number of striking images perfectly illustrating the lyrics, and includes comprehensive sleeve notes detailing the development of the song, which was first performed some 40 years ago. There will be a significant donation to the Poppy Appeal* from the proceeds of every sale of the album. *The Poppy appeal, organised by the Royal British Legion, was first started in 1921 with the aim of remembering and honouring serving soldiers and veterans as well as providing vital funding for the care and rehabilitation of soldiers wounded in action.